The ex-internationals feature video messages explain how fans can keep themselves and others safe while gathering to watching games. 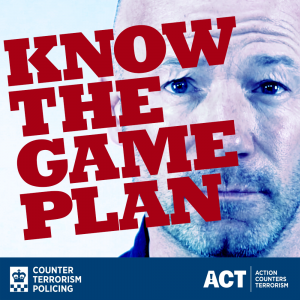 Counter Terrorism Policing’s ‘Know The Game Plan’ messages have already been adopted and supported throughout the season by the Premier League and English Football League (EFL). Speaking at Millennium Square in Leeds City Centre, Chief Superintendent Aldworth said: “We all know Alan Shearer and Paul Parker support the game plan and David Seaman is a safe pair of hands, so who better to inform people how they can keep this summer’s footballing events safe and secure? Arrive early and minimise what you carry. Fewer bag searches speed up entry in events. Be vigilant: If you see anything suspicious, tell a member of staff straight away. If you see anything which could pose an immediate threat to safety, all 999. In an emergency, listen to and follow public address instructions. If told to evacuate, do not wait around or film on your mobile phone. Move right away from the area quickly to allow emergency workers access. Once you are safe, follow the local police force on social media for updates.